They probably meant to write Q54 instead of Q58. 1) They failed to mention the Myrtle Avenue stop for the B46, B47 and B54. 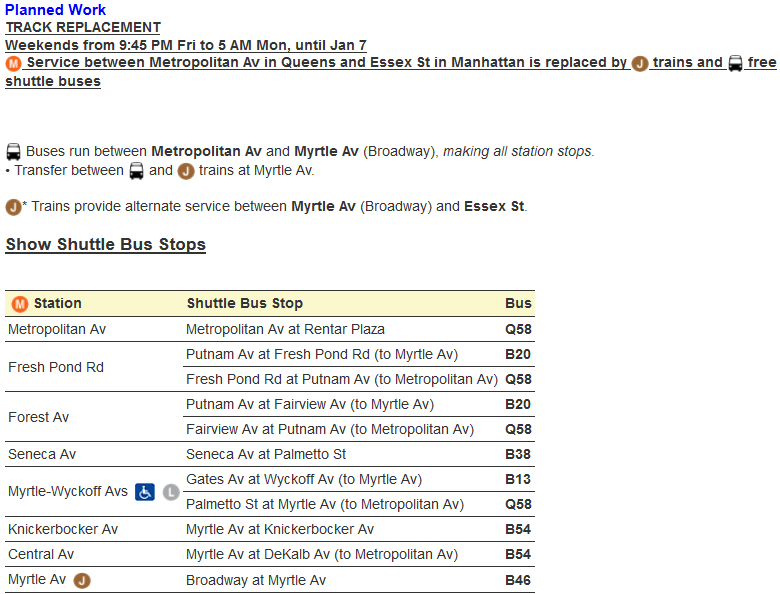 2) Myrtle/Wyckoff : B26, B52 stop near Palmetto Street.